• Process almost all CD-ROM image file (s) including ISO and BIN. • Ability to add/delete/rename/extract file (s) within image files. 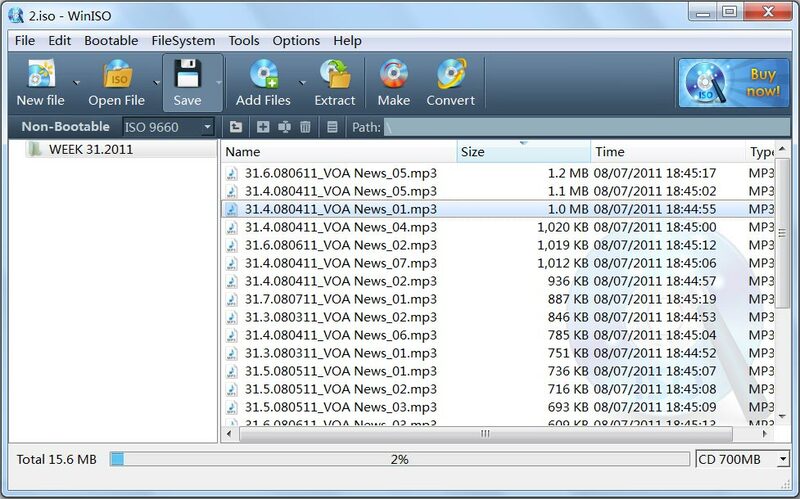 • Convert image files to the standard ISO format. • Very easy to use interface but powerful enough for an expert. 1. Multi-language Updated: French. 2. Fixed a minor bug.